We are here face to face with Baron Kurtz. His face is inclined gently to one side, one eyebrow gently raised in an expression that is almost unreadable. In this moment is he annoyed or curious? Is he listening to Holly? Thinking of something else? Watching carefully for Holly’s reaction to prepare his next slimy silver-tongued lie? Cropped from the shot is his bug-eyed little dog, which Matt terrifically analyzed last week. But even without his trusty companion in the shot, Kurtz’s fur collar reminds us of his base animal nature. But this image is not all bad, which is what makes it so interesting. What is it in this particular frame, as opposed to the many vile images of Kurtz, to make us feel some compassion for an instant. There is a kindness in his eyes as he looks back at Holly, a little taken aback. The corners of his mouth, always ready to open and show teeth in a fake grin, are lifted ever so slightly in a little smirk. And here we are, a slightly dumbstruck Kurtz looks back at him. Each other moment of this interaction Kurtz maintained a performance that kept him in control of the situation, but he is so struck by Holly’s brazen innocence that he shows compassion. His expression that will quickly shift back to a more familiar twisted and maniacal smile. The Jekyll and Hyde transformation is telling. Kurtz breaks character and feels real compassion for Holly before he twists his face back into that Rumpelstiltskin-grin and says, “I wish I could, but you know, I am an Austrian. I have to be careful with the police.” But for this instant, let us linger a moment longer on this face, so different from the Kurtz we know. Here, with his defenses dropped by the defenselessness of Holly, we are maybe seeing the true Kurtz. He is a kind man beneath his deceit and systems of control, and it is lovely that we can spend this moment with him. He is transformed, but soon he will twist back into his maniacal self and things will turn back toward their usual progression. This momentary break in character is a testament, not only to Kurtz but to his terrific portrayer. 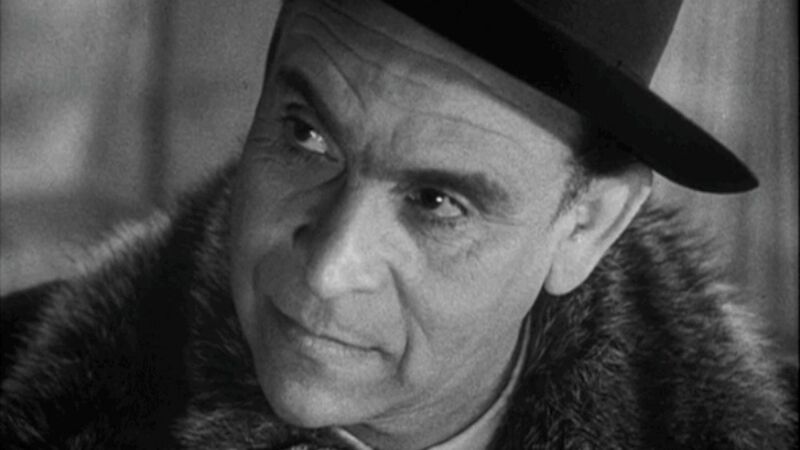 Ernst Deutsch had almost no visibility in the United States, but in the golden years of Ufa before World War II, Deutsch was a larger figure. 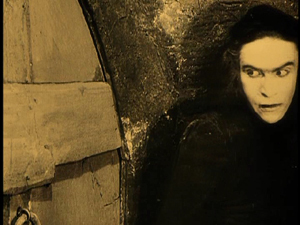 Not a star by any means, but he was an important innovator in the dangerous world of German Expressionism. 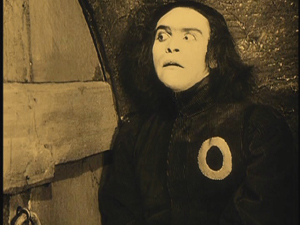 His first role was not in a film but on stage, in 1916 he played the protagonist in Walter Hasenclever’s The Son which was the first full length German Expressionist play ever produced. 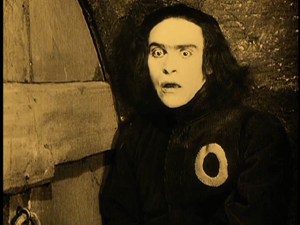 He went on to play roles in Von morgens bis Mitternacht and Der Golem, two classics of German Expressionist craft. He was particularly notable in these performances for the way he moved his eyes. Though The Third Man is far more realist and noir than it is expressionist, it is precisely Deutsch’s control of his eyes and brows that makes this image so strikingly different.